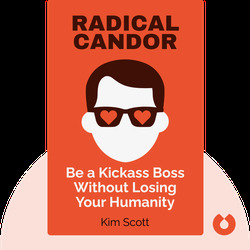 Radical Candor (2017) offers valuable tools that any team leader or manager can use to establish the best possible relationship with their employees. You’ll find an insightful approach to management that creates a working environment where great ideas emerge, and individuals can reach their full potential. 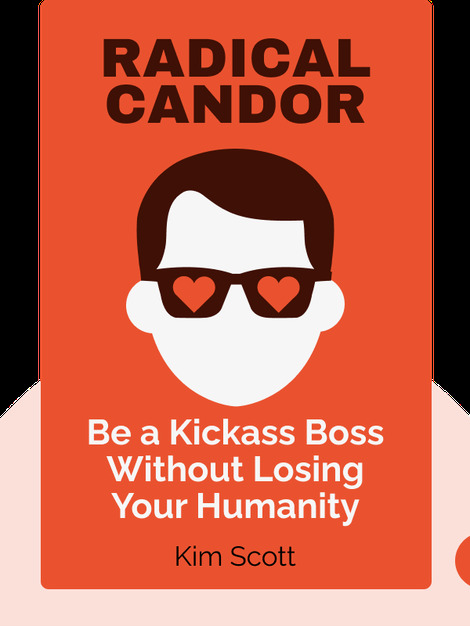 It’s time to stop doubting yourself and become the kickass boss your employees will be proud to follow. Kim Scott is an experienced CEO who’s worked for a variety of Silicon Valley companies including Twitter, Dropbox and Google. She’s also a former faculty member of Apple University and the current CEO of Candor, Inc., a company she co-founded to provide more resources for managers and bosses in need of support.